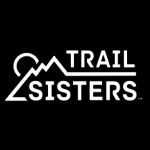 Please welcome the twenty third American Trail Running Association (ATRA) Trail Ambassador presented by CamelBak, and the eleventh in 2018. Scott Magee, age 43, is a trail runner, trail race director, trail steward and volunteer. 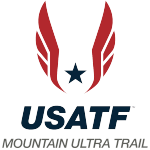 Scott’s Twisted Branch Ultra is an American Trail Running Association member event. Scott (pictured center) with some trail running friends. Scott Magee has been married to his wife Patty for 17 years and the pair resides in Honeoye Falls, NY, with their daughters Ella and Molly. For the past 20 years, Magee has worked in the Telecommunications industry spending the last 4 years working for a software development company based out of Denver, CO. He has been running, hiking and exploring in the woods since he was a kid. “I loved exploring and spending time outside,” said Magee. “As an 18-year-old senior in high school, I was ineligible to continue playing travel hockey, so I decided to join the cross country team instead. This was my first formal introduction into running, but it wasn’t until I was in my late 20s when I stumbled on a trail race in one of my favorite hiking spots. A race finisher at Scott’s Twisted Branch Ultra. Scott (pictured left) with a Twisted Branch Ultra finisher. One of the lessons Magee has learned from the sport is, “How to roll my ankle and keep on moving.” Although he’s done racing for the year, his goal is to maintain fitness and focus on strength and flexibility. “There’s a decent chance I’ll be running in a late spring/early summer ultramarathon in 2019, so my focused training should start before the winter is over,” said Magee. 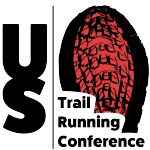 The ATRA Trail Ambassador program is presented by CamelBak with support from adidas Outdoor, LEKI USA, and CEP Compression.